[i]) – what does it mean? Ringforts were enclosed farmsteads, and date from the Early Christian to Early Medieval period, around 500-1000AD. [iii] The enclosing bank is known as the rath, while the internal space is called the lios. The map, below, dates from the 1840s, and was collated as part of the Griffith’s Valuations, a survey of all privately-held land across Ireland. 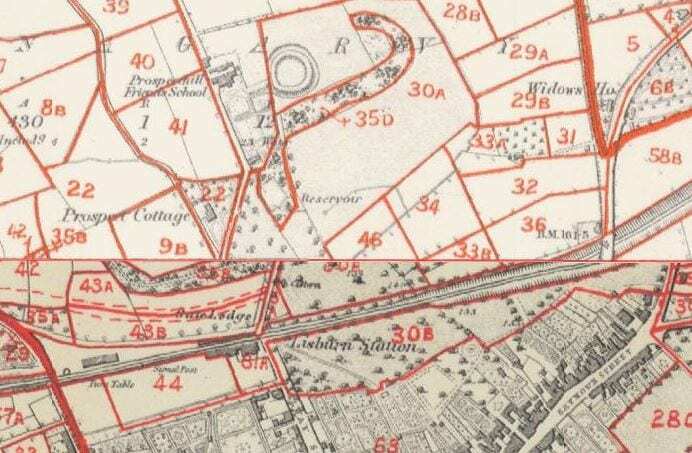 The rath is clearly shown above the parkland (now Wallace Park). A further suggestion is that the ‘burn’ from Lisburn references the old gaelic name for a river, burn. [i] Logainn (N/A) ‘Lios na gCearrbhach’. Available at http://www.logainm.ie/en/135807, last accessed December 2014. [ii] Day, A., McWilliams, P., & Dobson, N. (1993). Ordnance survey memoirs of Ireland volume twenty-three: parishes of county antrim VIII 1831-5, 1837-8. Belfast, Institute of Irish Studies in association with the Royal Irish Academy, p. 20. [iii] Heritage Council. (N/A). ‘Ringforts’. Available: http://heritagecouncil.ie/unpublished_excavations/section13.html. Last accessed December 2014.